Price From £895 (VAT not applicable) Carbon/Kevlar laminate available as an extra. 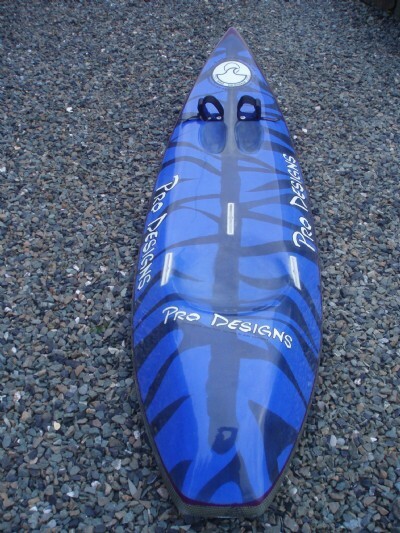 Optional extras listed in free quote form or Surf Pro Designs related extras web page. Designed for sport and leisure. 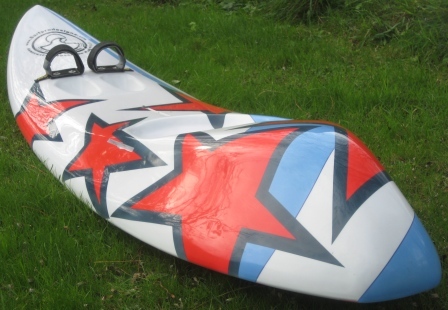 Best described as a cross between a surfboard and a kayak, though performs like a surfboard. The rider is seated and sits on top of the ski, not in it, while making use of a paddle. 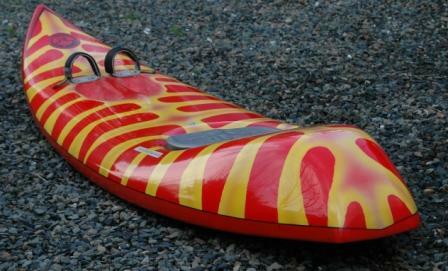 Note; A waveski/surf ski is not what is sometimes called a sit-on-top, these are made in a mould and massed produced. 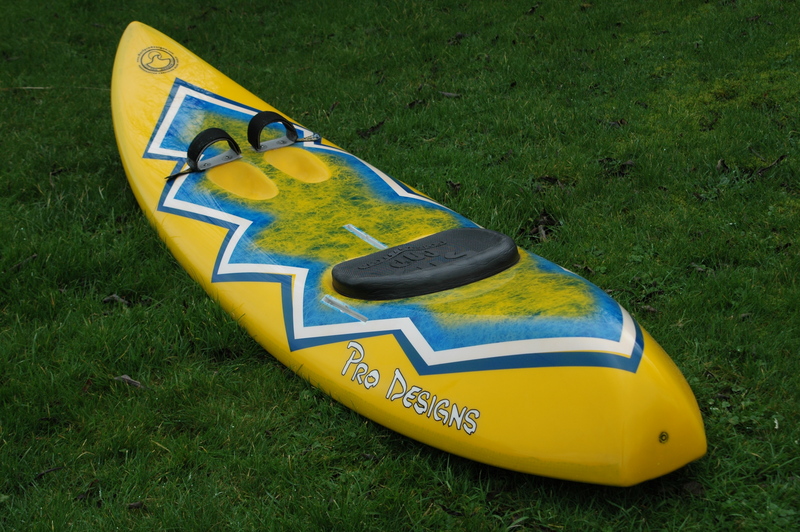 All Waveskis/surf skis are handcrafted and custom made only. No high street outlets. "The rider has custom made what is needed, not what's in stock". If the customer is unsure of what they need, a friendly informative chat will inform Alan (the creator) as to the shape required. 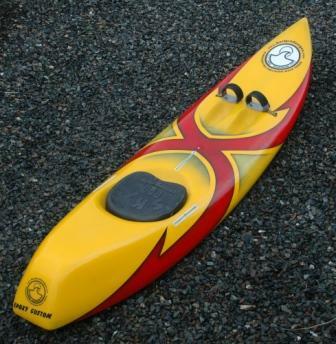 Surf Pro Design waveskis are considerably lighter than either injection plastic roto moulded or moulded laminated craft. 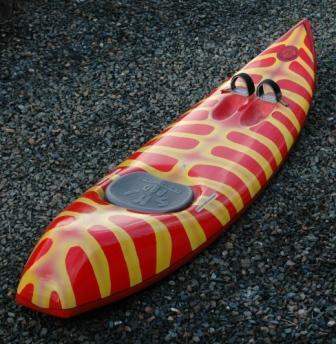 This lightness allows the waveski to be stable but sensitive to the paddlers riding ability. Please click photo for completed waveski. Shaped and handcrafted using a light weight coolite/EPS foam core (see workshop this website) the first stage artwork is then applied. This will allow artwork to be placed under the laminate, and be fully protected ( Note: other manufacturers spray paint their artwork as a final coat which offers no protection to the laminate or artwork). Only the very strongest,clearest Epoxy resin is used to laminate the glass or hybrid laminate to the shaped core. To support the nose section in high load situations a reinforced fibre glass rod is inserted under the laminate, along with extra laminates to all impact/high load areas. Numerous filler coats and laminates are further applied along with detailed artwork as specified. 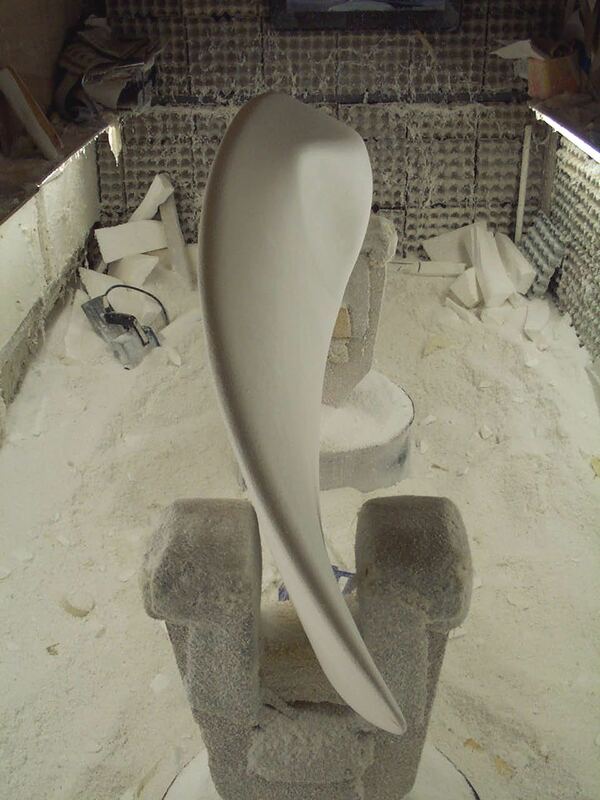 The ski then having its final coat of resin is meticulously hand polished to a high gloss finish. Again, no cheap sprayed lacquer finishing here. All fittings for fins and belts are made through injection moulded American fin boxes (these do not come out and are bomb proof). Foot-straps are held in place by a machine head 6mm stainless screw, over a 20mm stainless washer, screwing into an injection moulded fitting with a integrated 6mm stainless insert. Foot-straps are fully adjustable and padded. Our own unique designs have evolved over four decades with feedback from our sponsored riders. "It's far easier to be original than to copy". Among the lightest on the market whilst retaining strength and durability. Able to out perform moulded counterparts. Meticulously built to your exact requirements using information you provide in a friendly chat or our free quote form. Your own artwork (whatever it is), incorporated at no extra cost. Please view other examples . Ski rails are reinforced with either extra laminates or hybrid carbon/kevlar. A full carbon/kevlar wrap is available producing a immensley strong ski. This will incur extra cost, though only of its purchase. 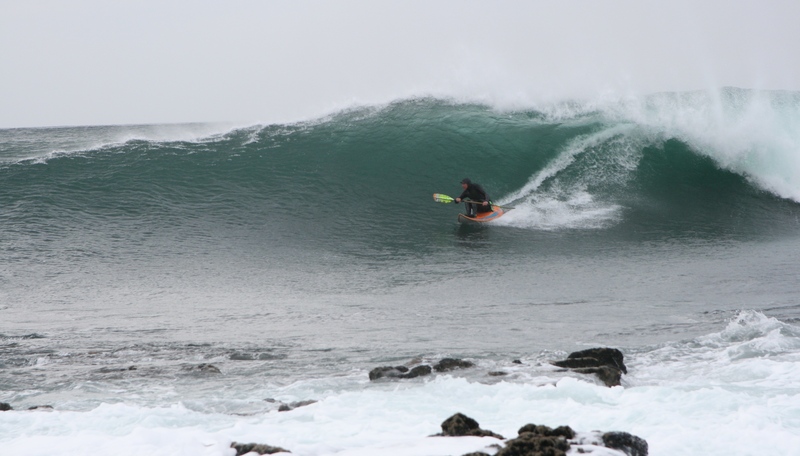 Whatever your size, experience or ability, a Wave Ski/Surf ski can be built for you. 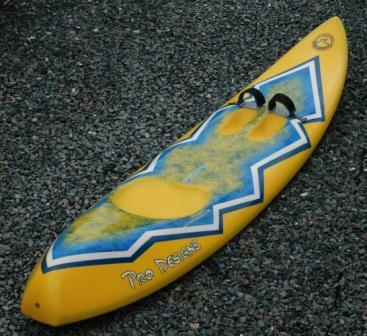 Surf Pro Designs have in the past built skis for all abilities and size, from paddlers who have not been born! to 21stone.